Want it by Thursday 25th April? Order within 3 days, 16 hours, 38 minutes and choose Royal Mail Tracked 24 Hour at checkout. 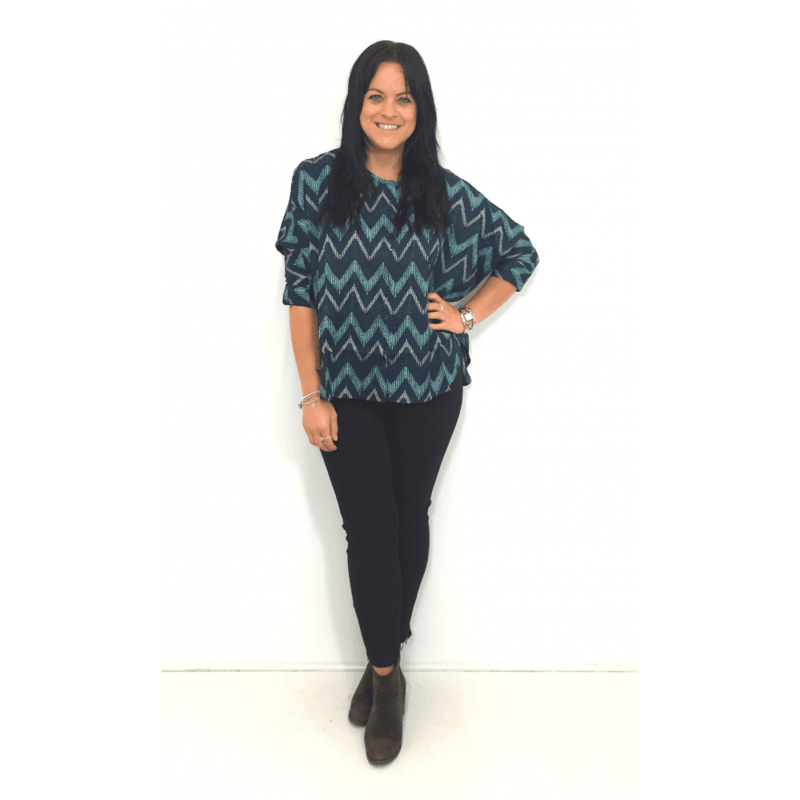 A gorgeous oversized blouse with round neck shape and interesting blue geometric print. This elegant loose fit blouse falls beautifully and is very flattering on your figure. Great for dressing up or down!